My God, handsome! Don't you look absolutely adorable in that fetching deerstalker hat and matching pipe? Gosh! If I was in your shoes, I'd quickly high tail it out of here and get your pretty little tush into this 76 minute movie made in 1946. You know. 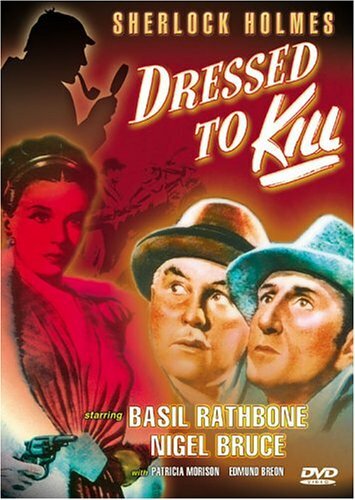 This one Directed by Roy William Neill; and Starring: Basil Rathbone, Nigel Bruce, with Patricia Morison. Moi! I love you all! Now why on Earth would someone kill your old friend 'Stinky' (Edmond Breon) and steal his musical box afterwards, Doctor Watson (Nigel Bruce)? I ask you, what type of a fiend would go round London and target three identical musical boxes, bought from the very same auction house? No. There is no need for you to answer my questions, old chap. My musings were purely for rhetorical purposes. You see, I have a sneaking suspicion I know who the crafty culprit behind this dastardly crime really is. Although we won't be able to clarify my deduction until we do some snooping first. So to start off with I think we should go to the auction house in question, and ask it's proprietor who purchased the two other boxes. And then, with this information at hand, we should either figure out if my presumption is true. Or alternatively, analyse these trinkets just in case they can shed some more light onto this mystery. But then again, that's most probably why what next transpires all comes into play, when I, Sherlock Holmes (Basil Rathbone), come face to face with the disguised Hilda Courtney (Patricia Morison). As a tune gets stuck in my head - a naughty lady needs to be put to bed - a consulting detective gets hung from a tree - and once the smoke finally clears, it's Doctor Watson who solves this crime with some medical history. Overall I'd say 'Dressed to Kill' was a great film to follow, despite it having one fundamental flaw within its general plot-line. Well. Let's face it. If you were one of the bad-guys in this movie, and the key to your success was to buy three musical boxes from an auction house, wouldn't you have turned up on time to make this happen? It only stands to reason, doesn't it? I mean, what was their problem? Couldn't any of them afford to buy an alarm clock or something? Because from where I was sitting, it sure looked like they had enough cash to splash! Anyway, apart from that slight snag in the story-line, dear reader, the rest of it was one amazing adventure that kept me at the edge of my seat from the very beginning of it to the very end. Not only because Basil and Bruce took charge of this tale by doing what they do best -- acting, bumbling, and surmising. But in addition to this, I'd say this time round their protagonists really gave them a right run for their money. Honestly. There were a couple times throughout this adventure I thought Sherlock and Watson were done up like a couple of kippers. 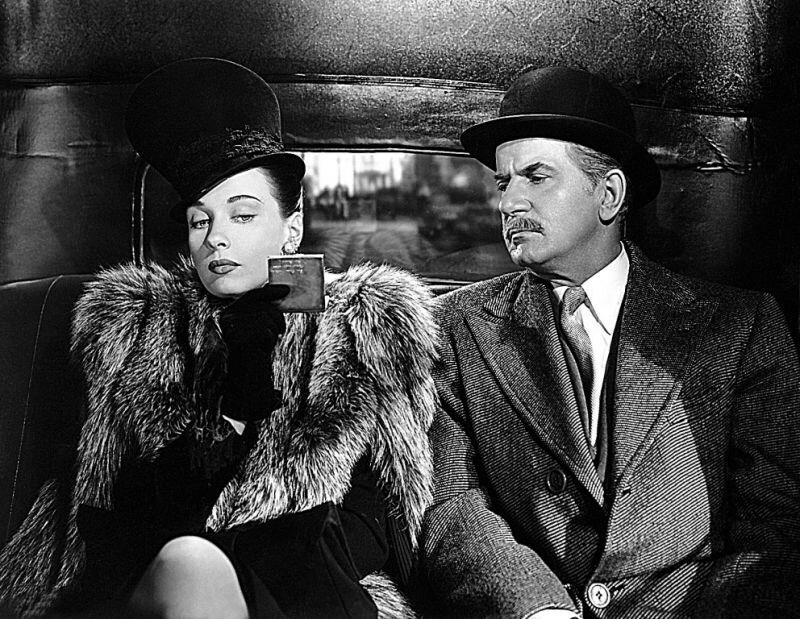 As they constantly tried their best to outsmart Patricia Morison's 'femme fatale' character, who in turn held her own pretty well against my favorite Victorian era dynamic duo. Also, I must mention I got a right kick out of that scene were Sherlock and Watson visited that cockney music hall, and interacted with what I'd like to call 'a right barrow boy'. Furthermore, it was very cleaver from a narrative perspective how they both integrated themselves into this tale by association or by investigation. Now the way I see it, this mystery enveloped a segment at a time, and it took about half of it to finally show what it was all about in the first place. Not that this is a bad thing mind you. Yet it's well worth mentioning if you don't have the patience or temerity to figure out a story as it plods along its merry way. But wait up. Before I waffle on too much, I think it best that I now present you with the following filmic-facts. (1) 'Universal Pictures' first released this production in New York, New York, on the very same day Thailand was first invaded by the French Army -- the 24th of May, 1946. (2) Loosely translated, this project was entitled 'Hunt for Music Boxes' in Germany; 'The Key' in France; and during pre-production, it was given the working title, 'Prelude to Murder'. 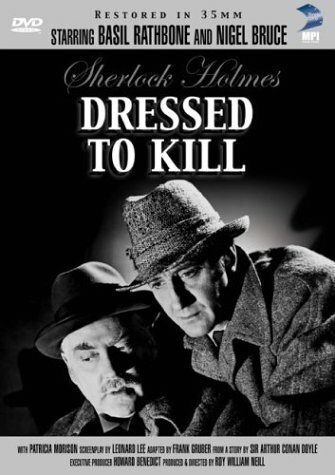 (3) Just like many of the other Holmes movies shot for 'Universal', this one was also filmed at 'Universal Studios', Universal City, situated within the American state of California. (4) The tagline used to promote this picture, was, 'Queen . . . of a Crime Cult!'. (5) Even though this adventure wasn't directly based on any of Sir Arthur Conan Doyle's original Holmes stories, there were a few references in it, pertaining to 'A Scandal in Bohemia' plus 'The Adventure of the Six Napoleons'. Also, on a side note, in one scene you might notice Holmes and Watson both discussing 'The Stand Magazine', which was the actual publication that published the original Holmes stories. (6) The maitre d' working at the Universal commissary, ordered Patricia Morison to 'go and sit with the other extras', because when she went to lunch on that particular day, she was still wearing her Hilda Courtney disguise. 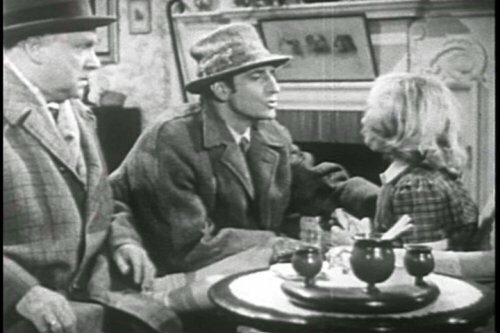 (7) This was the last time Ian Wolfe appeared in one of Basil Rathbone's Sherlock Holmes movies. He regularly played the Commissioner of Scotland Yard, and in total, starred in four of these films. (8) After this adventure coughed up a lung, Basil Rathbone lent his voice to the animated-adventure, 'The Wind in the Willows'; Nigel Bruce starred in the crime-thriller, 'The Two Mrs. Carrolls', and Patricia Morison starred in the drama, 'Danger Woman'. All in all I'd say 'Dressed to Kill' is a very good film if you like your stories slightly flawed, your mysteries slightly mysterious, and your 'femme fatale's' slightly curvaceous. Know what I mean, governor? Nudge-Nudge! Wink-Wink! Say No more.